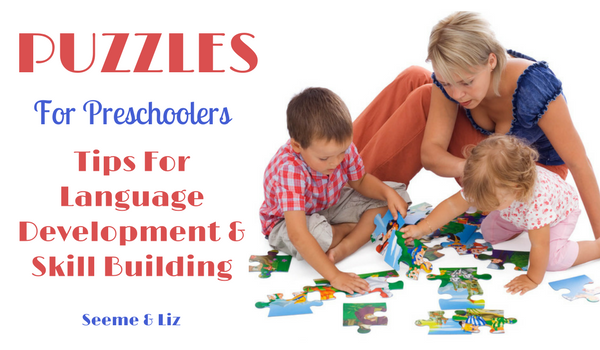 Preschool Learning Puzzles – Perfect For Language Development and Skill Building! Seeme & Liz > Learning Toys (2-4 year olds) > Preschool Learning Puzzles – Perfect For Language Development and Skill Building! Preschool (and toddler) learning puzzles were one of my “go to” toys when I was practicing as a Speech-Language Pathologist. My children also had quite the collection of beginner puzzles. 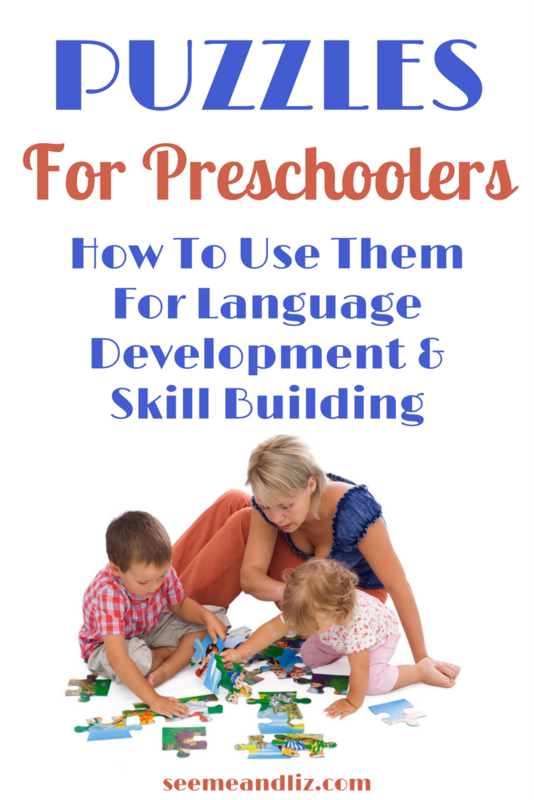 This article will review some different types of toddler and preschool puzzles and discuss the learning opportunities that go along with each one. Hopefully by the end of this article you will see that there are so many different ways that you can use puzzles for a variety of language and learning goals. This type of puzzle is ideal for toddlers and even for preschoolers. However, not all children will enjoy puzzles. If your child is not a fan of puzzles, make sure you start with insert puzzles as they will be the easiest to complete. I particularly like the Melissa and Doug chunky puzzles as they are theme based and are great for vocabulary building. My children had several of these puzzles including the ones in the picture. ♦ Hide and Seek – hide the puzzle pieces around the room. ♦ Label the puzzle pieces along with other items on the puzzle board itself (e.g. cow, horse, pig, sheep, duck, chicken, barn, sun, pond, grass, butterfly, etc). Also include the accompanying animal sounds if you are using an animal puzzle. ♦ When using a bag to keep all of the pieces in, talk about putting pieces “in” the bag and taking them “out” of the bag. ♦ Sentence Patterns – these puzzles are great to work on sentence patterns for children who need some extra help. For example, each time a child takes a turn taking a puzzle piece out of the bag he can say “I pick one (piece)”. ♦ Prepositions – If you are playing the hide and seek activity, children can work on their understanding of prepositions such as “in, on, under, behind, beside, etc” as these will be used in the directions. ♦ Turn taking – play the “pieces in a bag” variation with 2 or more children. They will each need to wait for their turn before they can take a puzzle piece. You can also work on turn taking vocabulary such as “my turn” and “your turn”. ♦ Most insert puzzles will have the same picture in the spot where the actual piece needs to go. 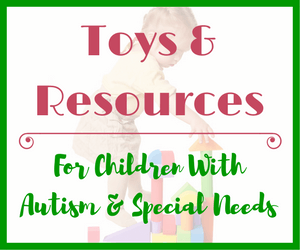 With young children or those with developmental delays you can work on matching skills. Have the child find the matching animal and you can help them put the puzzle piece into the puzzle. ♦ Count each puzzle piece as you put them into the bag. Latch and Lock puzzles are perfect for working on fine motor skills, however there is always the opportunity to work on language development as well. This type of puzzle is geared to children ages 3+ as the latches can be difficult to open and close. An adult will have to help a younger child with the latches and locks but don’t let this deter you. My daughter loved her latches puzzle when she was about 2. We would play peek a boo with it (see below for a description). Many of these puzzles have numbers printed on them along with a corresponding number of objects/animals. For example, under the number 2 you might find 2 fish. Talk about the different colors that you see. For example, “I see green fish” or “I see a yellow house”. This game is fun for toddlers and works well if you are using the puzzle with a toddler and a preschooler. 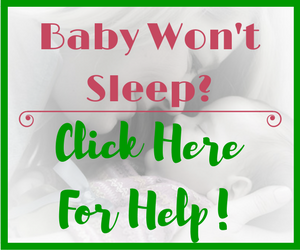 Your child can work on opening and closing the latches, while the toddler focuses on vocabulary. The adult can say “Peek a boo, I see ______ hiding behind the door”. As the child is opening the door encourage them to tell you what they see. Just like in the insert puzzles, you can work on simple sentence patterns with latch puzzles. For example “open the door” or “I want to open the door”. Beginner Jigsaw puzzles have large pieces that need to be matched together. 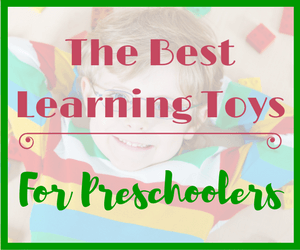 Therefore, they are great for working on hand eye coordination. This type of puzzle is a bit more advanced because there usually is no picture reference to go by. Depending on the type you get, the box can be used as reference for what the final puzzle should look like. ♦ These puzzles help to develop perseverance and persistence. Count all the pieces before putting the puzzle together to make sure they are all there. Take turns telling a story about what you see in the puzzle (once it is assembled), if your puzzle is a scene like the one above. Story telling is a great way to practice sequencing skills which are extremely necessary for executive function skills later on! Label the items in the puzzle. Make sure to also label actions you may see, such as swimming, jumping, digging, driving, etc. Preschool letter puzzles are similar to the chunky insert puzzles but they focus on letters. I love these puzzles because the child gets to work on hand eye coordination while learning about letters at the same time. Children are very visual and hands on learners so letting them feel and see each letter helps them to remember the letters. But please remember to keep this activity fun! Do not test your child by quizzing their letter knowledge. 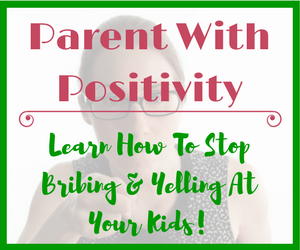 As long as your child is enjoying the activity then keep going. I won’t go into the language and learning opportunities with these puzzles since it is quite obvious that the main goal is learning letters. However, I will share some activities that you can do to keep the letter puzzle fun and interesting. This is the same activity that I described in the insert puzzle section. Place all the letters in a bag and have your child(ren) reach in a pull out a letter. Ask him if he can label the letter and find where it belongs in the puzzle. You can also use dice to determine how many letters the child can pick. Help your child arrange letters to make a simple word (e.g. c-a-t) and then place the letters into the puzzle. ***Note: This activity should be used for older children who have expressed an interest in letters and reading. Please do not push your preschooler too hard. She will have plenty of time to learn to read. The goal with puzzles is to have fun! 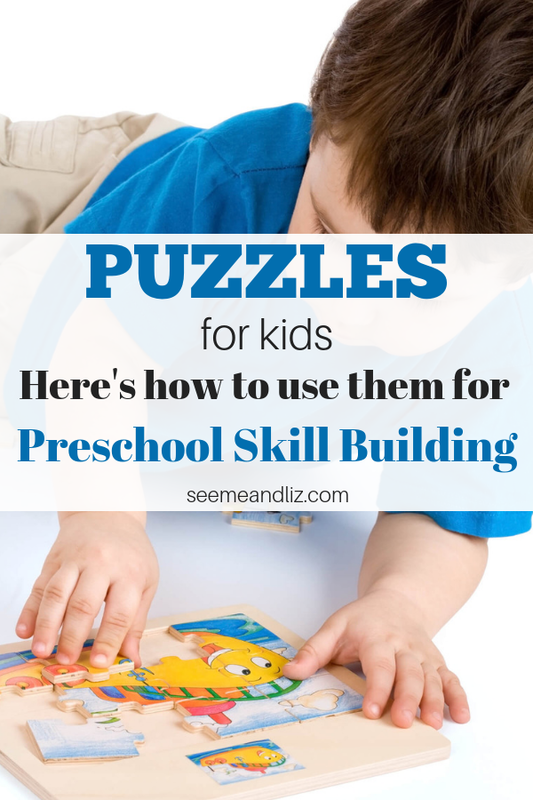 Puzzles For Preschoolers Can Be Fun and Educational! As you can see there are so many possibilities with preschool learning puzzles. Do your children enjoy puzzles? Do you have any other ways that these puzzles can be used to promote language development and learning? Very insightful article. I have learnt a lot of information that will help me to teach my children. I have a preschooler and a toddler so this is perfect. 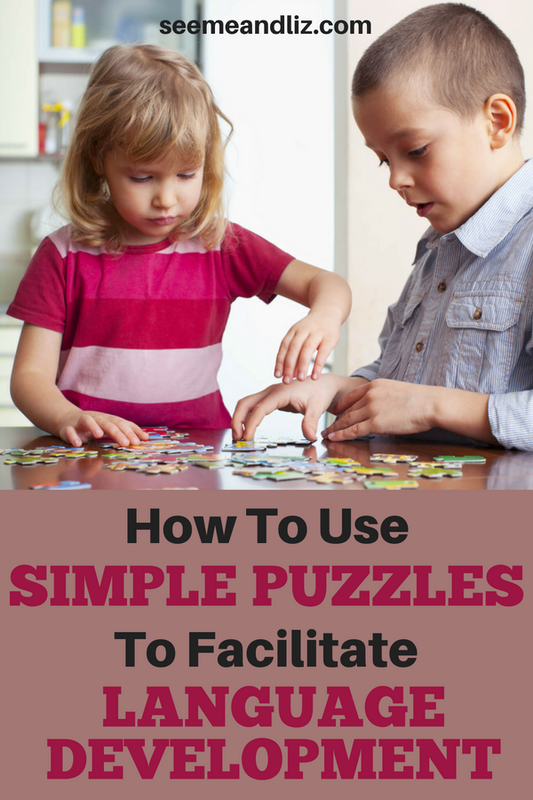 I had no idea how much kids can learn just by playing with puzzles. I need to get some more puzzles for my kids because we don’t have many right now. I’m happy to hear that I was able to shed some light on the benefits of a toy as simple as a puzzle. Kids really don’t need many toys (actually less is more when it comes to toys), but the toys parents select should be simple. Think of classic toys that don’t require batteries. 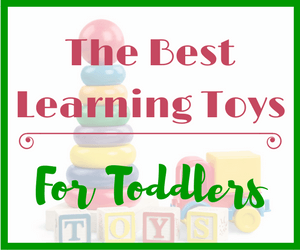 If you aren’t sure what toys to choose for your children, then this article may be of help. This is the best article I’ve read in a while. I am so obsessed with Jigsaw Puzzles. My grand daughter is coming to visit me next week and I was looking for a present for her and this is finally a perfect tip for her because I can be involved as well and we can do it together. I also love your language tips as we should improve this area as well. Puzzles are a great grandparent/grandchild activity! I am sure your granddaughter will love being able to complete a puzzle with you. If she is between 3 and 5 then the tips I shared in the article will definitely be applicable. Just make sure to keep the interaction natural. You don’t want to come across as a teacher with an agenda! 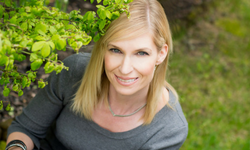 Thank you for this awesome and very informative article Tanya! I have always been a puzzle fanatic and I always play puzzles with my little nephew. To me puzzles symbolize gathering the work you have to do to achieve a certain picture. I really had no knowledge about how to get the most out of these puzzles . I will definitely recommend this article to anybody who is having a tough time making puzzles work for them. Thanks again Tanya! Thanks Tebatso! I am glad that you found the article informative. Hopefully this will give you some new ideas for how you can play with puzzles with your nephew!